"- 5 unique charms to use on necklaces, bracelets, key rings or as zipper pullers. - Colorfull and well detailed, made to last of high quality materials. Washer safe. - Comes with 4 chrome beads for added value. 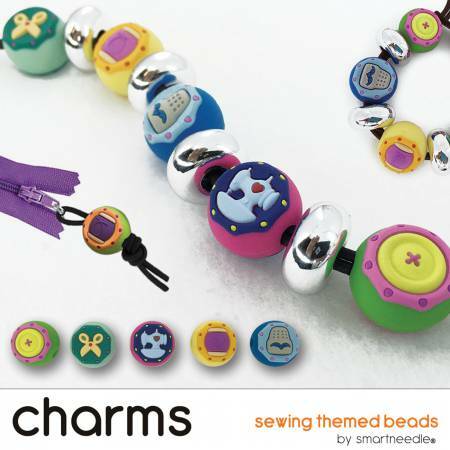 - Great things comes in small packages... enhance your projects with charms!"